Worry is something that can affect us all. 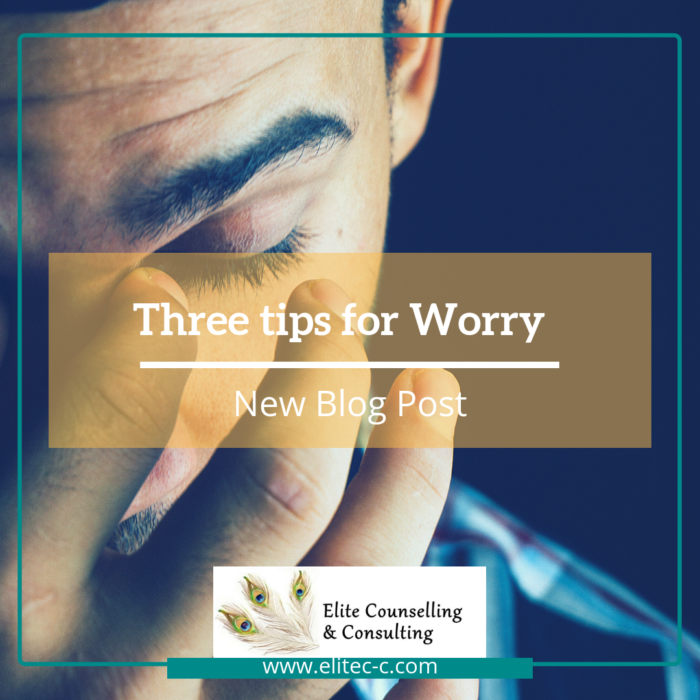 However, some of us have developed a habit of worry, where it has become a part of our daily lived life. We live with worry, fueled by fear- some of which have kernels of truth that only enforces the need for worry. Reality Checking: When we worry habitually, our mind is usually engaging in what therapists refer to as cognitive distortion (or distorted thinking). There are various thinking traps that can lead to worry, including catastrophizing, fortune telling, generalizing, personalizing and more. Regardless of the distortion at play, reality checking once we realize we’re engaging in cognitive distortion can help us consider the practicality of our worry. Is it proportionate to our current reality? Acceptance: When in worry we’re often concerned with fears and risks involved in a situation. The truth is risk lives in much of what we do. If we can make room and create acceptance for this, we essentially let go of the struggle. When we try to plan until the risk is gone, or avoid risks all together, we create more suffering by the very means of avoidance. When we live in that place of avoidance we’re limited by it, it can become a barrier between us and things we truly desire in life. Acceptance isn’t passive, it’s a pathway from struggle. It leads us from struggle, forward to live a valued life, while we are aware/mindful of risks and even our fears. Grounding/Mindfulness Approaches: Grounding and mindfulness approaches help us focus on the here and now. Grounding practices generally root us, in the here and now. Often bringing our awareness to what’s our current context, for example, what our senses are aware of or can be aware of. Mindfulness engages us in the practice of expanding our awareness of the present moment, with two key pillars in mind- acceptance and non-judgement. Both these approaches, bring to mind the present, where as worrying tends to be future based. Even when worrying about our current context (ex. while at an event) our minds tend to be playing out a “what if…”. What if they think I’m stupid? What if they think I’m boring, what if I say the wrong thing, etc. mindfulness and grounding moves us from the what if to the what is.